How To Find the Right Words? 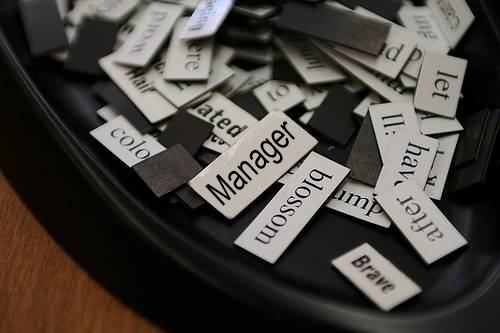 One of the biggest challenges with all kinds of leaders, whether you are a manager or a team leader at an office, or a motivational and inspirational speaker, is to learn how to find the right words and say the right, occasion-appropriate things. One of the trademarks of a good leader is the ability to be a good speaker. This doesn’t necessarily mean you have to be a talented orator (though that is important too), but that you should know what to say when, and to whom. If you’re aware beforehand that you are going to be expected to speak at a gathering or address someone, it is important to prepare. And being able to find the right words is all about knowing what you want to say. If it is a formal gathering or a corporate event, there should be some points that you touch upon. Make a list of the important points and then elaborate on them. Examine your own emotions or experiences if you want to add a personal touch to the talk or decide upon the facts or data you want to use. As any expert speaker will tell you, the trick to finding the right words often lies in being original. If you use the same old words, the same old clichés and the same old metaphors you are going to get the same old reaction- people bored to death by your unoriginality. If you really want to inspire people and impress them with your words, make sure that you think creatively and come up with words that are unique and seem tailor-made for the situation. Even if you are using quotes or famous sayings, the point is to pepper your speech with them and keep the rest of your conversation unique and truly “you”. There is always a time and place for saying something, and you must learn to find it. if you are giving someone bad news or something worrisome, you can hardly break it to them at an office party. If you have some exciting news to announce, you’ll have to wait until everyone is in the mood to listen or you might end up seeming selfish and self-centered. In other words, find the right moment and make sure what you are going to say is situation-appropriate. Ask any leader who is also a great speaker what the trick to impressing people with your words is and your answer is going to be, “be funny”. However, what many people don’t realize is that being funny is only a few jokes away from being crass, bawdy or inappropriate. Always remember, you are a leader and people look up to you and so you must always be tasteful and appropriate. Sprinkle your speech with fun anecdotes, witty words and sharp one-liners and always have a twinkle in your eye- the audience will love you and you’ll be a well-loved team leader! Finding the words can sometime be difficult. In The Leader Phrase Book, we provide 3000+ ready made powerful phrases that put you in command.